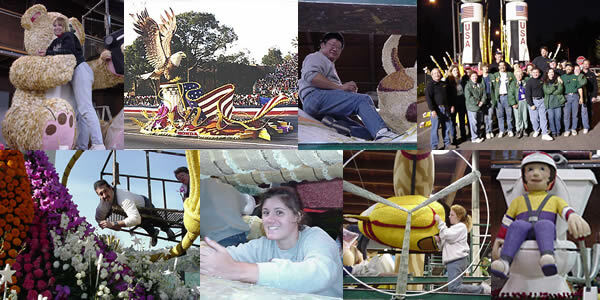 Come out and volunteer decorating a Tournament of Roses, Rose Parade float. 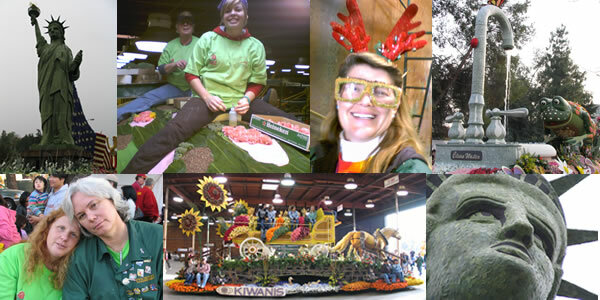 We work though the Kiwanis Rose Float club in completing the decoration of a number of Rose Parade floats in December. There are three dry material days that are held on the weekends before Christmas. Dry days are where seeds, dry flowers or leaves are applied to the floats. 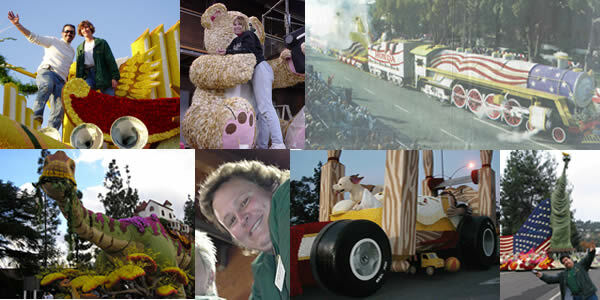 Contact us to help decorate a Rose Parade float.